Next Batch: Due on the 17/05/2019. Delivery to customers within 10 working days of the 17th. 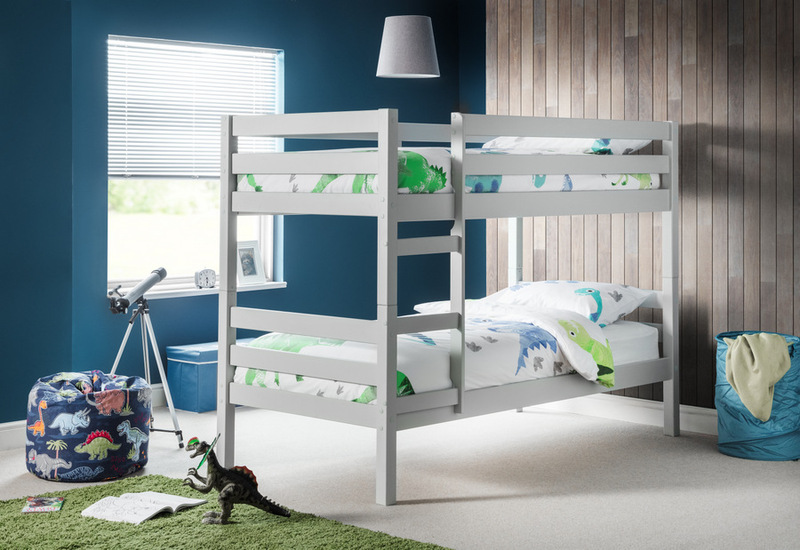 The clean straight lines of the Camden bunk bed are softened by the fashionable dove grey lacquered finish. Robust construction from solid pine. Matches the Maine bedroom furniture range. Available as the bunk bed only as as part of a package deal. Choose from the Premier or Comfy roll mattresses. 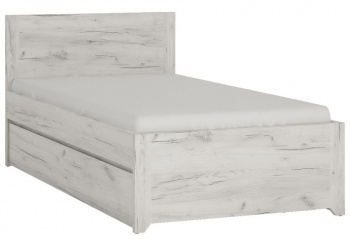 Premier mattresses are 18 cm deep, coil sprung with a damask cover and medium firmness. The mattresses are made in the UK. 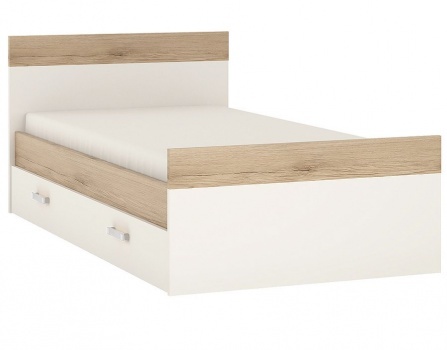 Comfy roll mattress are 12.5 cm deep, low profile with a removable and washable outer cover. Comfortable medium density reflex foam core. Delivered vacuum packed and rolled. 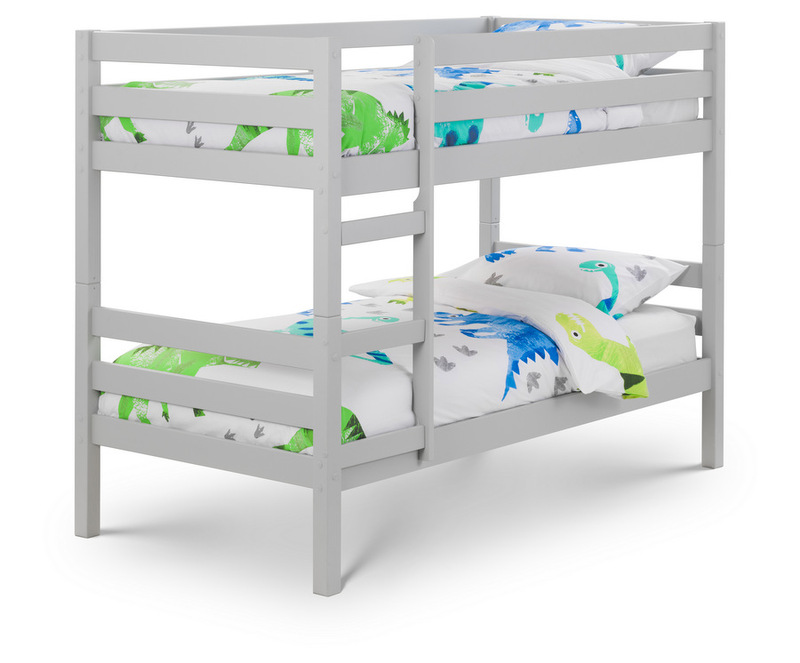 Please note that to use the upper bunk of bunk beds your child needs to be at least six years old. Maximum depth for the upper bunk is 18 cm. The bunk bed is delivered in two boxes. 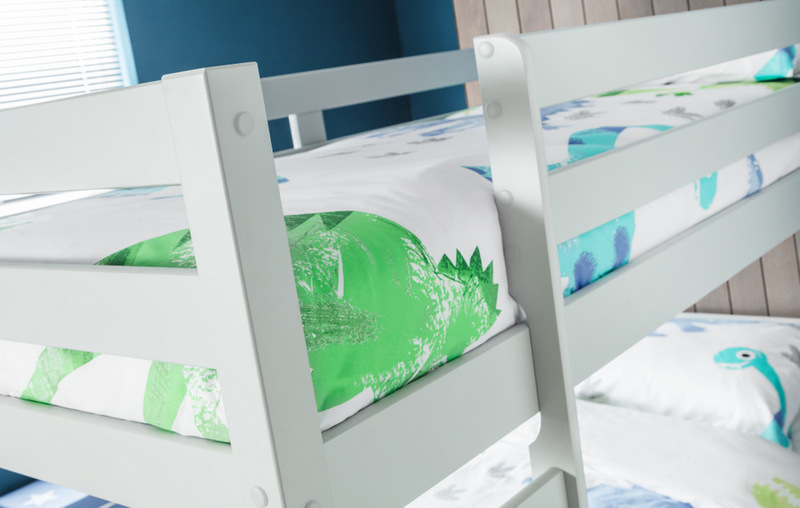 Part of our collection of children's bunk beds.